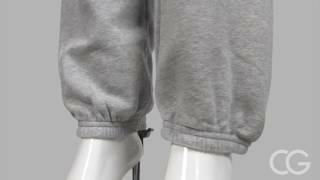 The soft feel of these Unisex Canvas Long Scrunch Fleece Sweatpants will make you want to wear them everywhere, even to the office! Some call them sweatpants. Others call them joggers. Some people even go on jogs while wearing their joggers. What does 30 singles mean any way? A higher number means a finer thread resulting in a tighter weave and a softer, thinner shirt. A typical adult unisex t-shirt is 18 singles.